Accuracy is 1/10,000 of a second. Radio signal from NIST in Colorado automatically adjusts clock to precise time, daylight savings, leap year, and leap seconds (earth rotation wobble corrections). 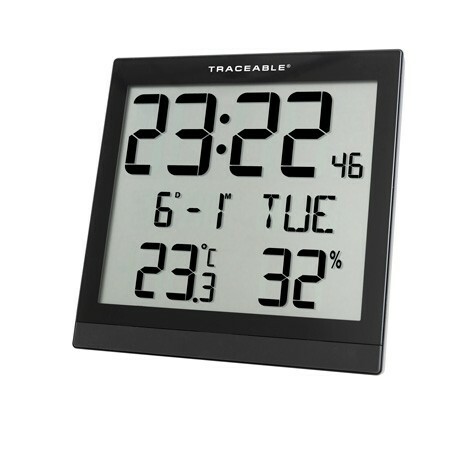 Display shows AM/PM or 24-hour time, month, date, day, temperature and humidity. 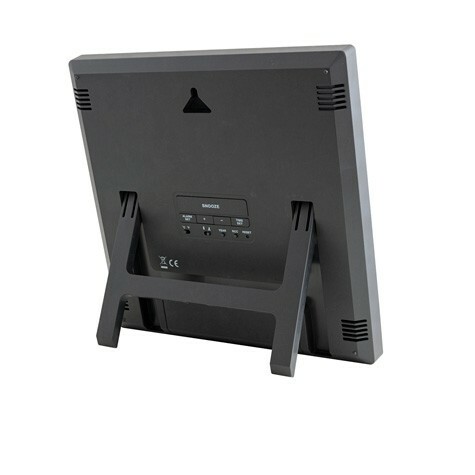 Large digits are 3-5/8 inches high for viewing from 25 feet.